Increase your speed with this! 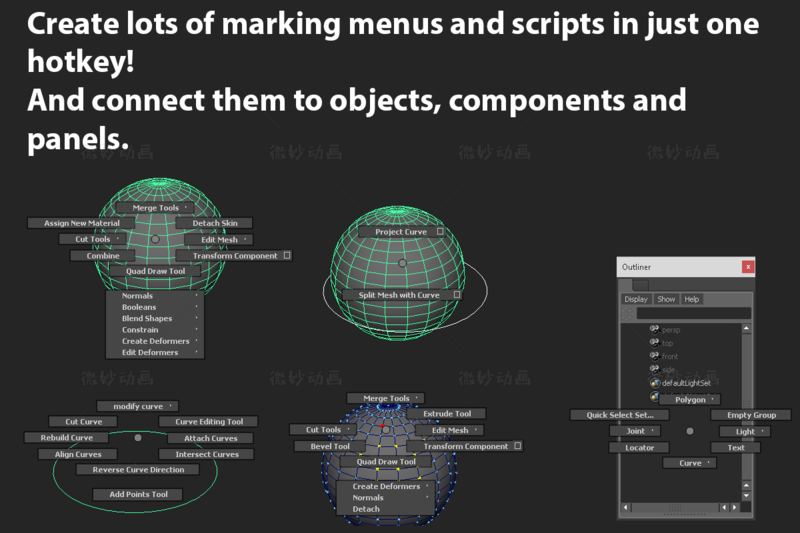 Combine lots of marking menus and scripts in just one hotkey! 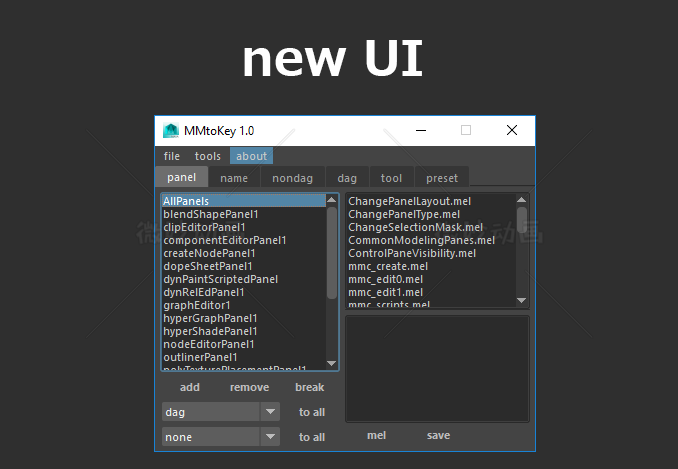 New preset tools let you replaced it with shell. Great thanks to Davide Alidosi for help! 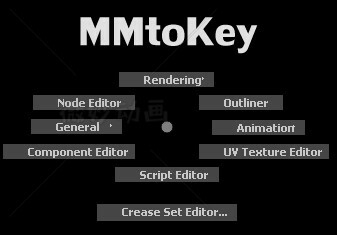 Since version 1.2 MMtokey is to be constantly updated with new extensions, although version number won't change. -LMB: You can make relationship between DAG nodes, NON-DAG nodes, names of nodes, panels. -MMB: Relationship between active tools. -AllPanels - Create explicit presets for all Maya panels. -python/mel switcher in marking menus. -independ presets like Maya shell.